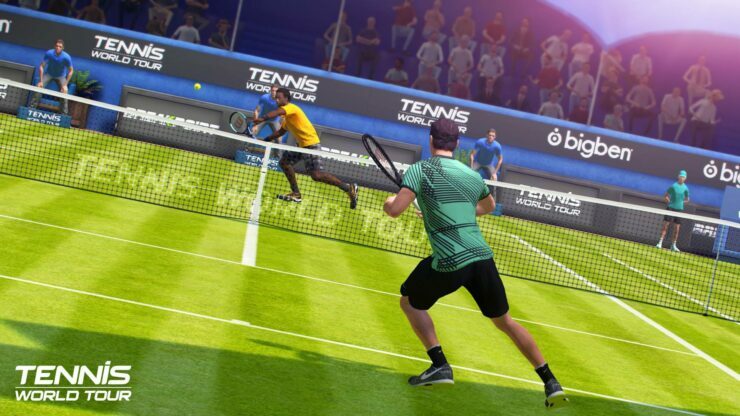 Breakpoint Studio, founded by former Top Spin developers, revealed today additional details for the Career Mode of Tennis World Tour, their Top Spin spiritual successor due to launch on May 22nd for PC, PlayStation 4, Xbox One and Nintendo Switch. In addition to fast-paced realistic tennis gameplay, Tennis World Tour’s career mode puts you in control of your career trajectory. Your main goal is to become the best in the entire world, but to do that you’ll have to learn to manage both your schedule and your form. Take part in an exhibition match or a tournament, train or rest — your choices are crucial and will have an impact on your career. If you string multiple matches together, or travel relentlessly around the world, fatigue will sneak up on you, your performance will diminish, and you risk hurting yourself. The most strategic players will strike the right balance, win tournaments, and win credits to hire staff, buy equipment and pay the entry fees to enter more prestigious tournaments. Once you’ve reached the top, you’ll have to fight to stay there by accomplishing specific objectives: win the four coveted Grand Slams, go undefeated for a season… there are numerous challenges open to you. Tennis World Tour’s career mode is a unique and complete mode that will let you experience a career befitting a professional tennis player. With realistic technical play developed in part with talent behind the Top Spin series, positioning and shot power are as important in Tennis World Tour as they are on a real court. Tennis World Tour features more than 30 real-life professional athletes, including Roger Federer, who shares the game’s U.S. packshot with Americans Madison Keys and John Isner. You may already pre-order the game via Amazon and enjoy the Amazon Prime savings if you have an active subscription.